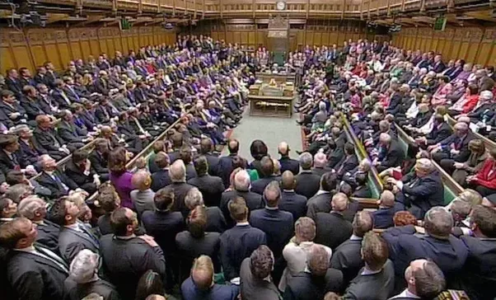 Senior politicians from all parties have demanded that politicians from other parties stop playing politics in the run up to the General Election. At Prime Ministers question time today, Theresa May told the House that calling the election was essential as “too many Westminster MP’s had deliberately made political points about the details of Brexit”. Although she welcomed robust debate, the PM said she wasn’t prepared to tolerate the possibility that MPs elected on the basis of an entirely different set of political values from her own might not vote to support her, come what may. Many Labour MPs described the timing of the election as cynical politics of the worst kind, taking advantage of the fact that they still have Jeremy Corbyn as leader, and asked the PM to change her mind, for old times’ sake. For the SNP, Angus Robertson said the PM should make decisions for the benefit of the whole country, rather than for narrow political advantage and pledged that the SNP would be making decisions for the benefit of the whole country, rather than for narrow political adantage. Tim Fallon, who says he is leader of the Lib Dems, said something about the election being a political stunt but to be honest no one was listening intently enough to take notes.